We here at Untethered Realms hope to share with you something a little bit more this holiday season. These books are our favorites, near and dear to our hearts. Perhaps you already love them too, or you may find the gift of a new tale to sweep you away. M. Pax: My all-time favorites: Man O' War by Walter Farley, A Wrinkle in Time, Winnie the Pooh, Anne of Green Gables, A Tale of Two Cities by Dickens, 2001: A Space Odyssey, Dune, The Valor series by Tanya Huff, anything by Jane Austen or Thomas Hardy, and Steppenwolf by Hermann Hesse. This year, some of my favorite reads were Leaving Time by Jodi Picoult, The Red Garden by Alice Hoffman, Horizon Alpha by D. W. Vogel, Hidden by Linda Berry, The Dressmaker by Kate Alcott, Daughters of Rome by Kate Quinn, and World Without End by Ken Follett. Meradeth Houston: My all-time favorite read is A Wrinkle in Time, but this time of year I remember The Christmas Day Kitten by James Herriot with quite a lot of fondness. My mom used to read this to my sister and I around the holidays, and as big animal people (we always had some creature or other living/recuperating in the kitchen) this story always hit home. Christine Rains: I'm with many people when I say I can lose myself in the Harry Potter series again and again and again. But here are a few you might not have heard about. 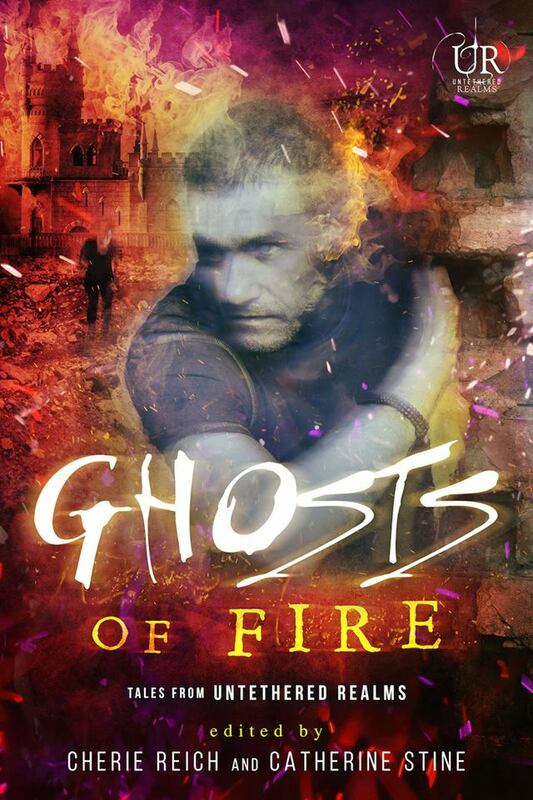 The Coldfire trilogy by C.S. Friedman is such beautiful and dark alien fantasy. For horror fans, The Necromancer's House by Christopher Buehlman is amazing. Catherine Stine: Wow, I have so many favorite reads... okay, here are a handful: Martian Chronicles by Ray Bradbury, The Lion, the Witch and the Wardrobe by C. S. Lewis (for kids); Paula Brackston's witch novels like Winter Witch; and almost any novel by Don Delillo - for instance Libra or Point Omega. Cherie Reich: It's hard to narrow down my favorite reads, but let's see if I can. For people who enjoy the classics, I loved reading Oscar Wilde's The Picture of Dorian Gray. For fantasy, my all-time favorite is the Harry Potter series, but I also really enjoyed Rachel Morgan's Creepy Hollow series. For science fiction and thrillers, I love anything by Michael Crichton. For writers, I recommend Story Genius and Wired for Story by Lisa Cron. For mystery and historical, I thoroughly enjoyed John Maddox Roberts' SPQR series. 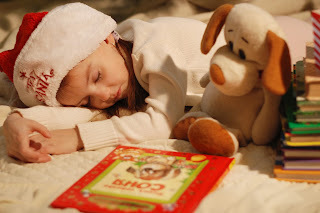 Gwen Gardner: My all-time favorite Christmas read, hands down, is, A Christmas Carol by Charles Dickens. He knew what he was about when he wrote it. The social aspects of the novel are still valid today. But my favorite line is when Mr. Cratchit tells Mrs. Cratchit what Tiny Tim said in Church: He hoped the people saw him in the church, because he was a cripple, and it might be pleasant to them to remember upon Christmas Day, who made lame beggars walk, and blind men see. 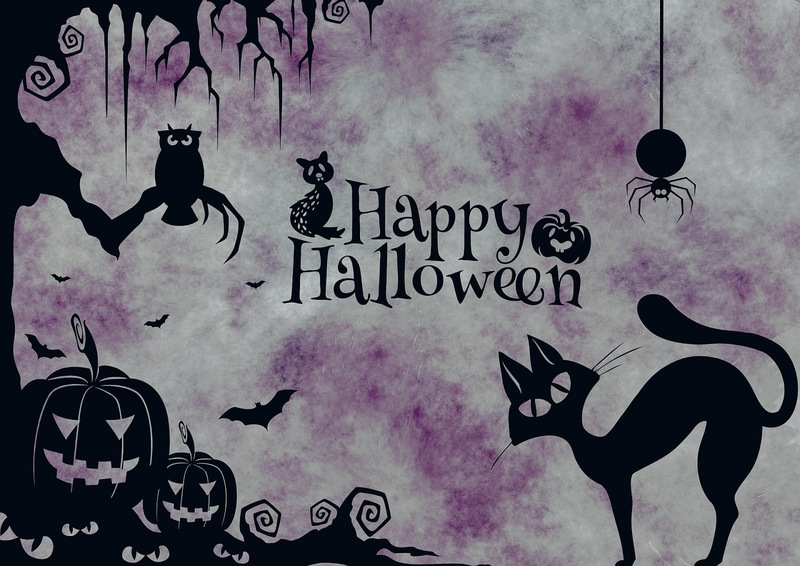 Some of my other favorite reads this year were In This Grave Hour by Jacqueline Winspear, The Seagull by Ann Cleeves, and Rather Be The Devil, by Ian Rankin. From our family to yours, we wish you a happy holiday season and a fantastic 2018. Don't forget we're seeking author guests for the new year. If you're interested, please leave a comment below. Eleven light years away, orbiting a small, faint red dwarf, is the Earth-like planet Ross 128 b. The star, Ross 128, is one of the quietest stars in the solar neighborhood and is located in the Virgo constellation. Most red dwarfs are prone to flaring, which can blast nearby planets with lots of radiation, stripping away their atmospheres and making them uninhabitable. But Ross 128 b doesn’t flare very often, which makes any planets in its habitable zone candidates for hosting life. The planet was detected by the HARPS instrument at the La Silla Observatory in Chile. It is the second-closest known Earth-size exoplanet and is calculated to have a minimum mass of 1.35 times the Earth. Ross 128 b orbits 20 times closer to its star than Earth orbits the Sun, but intercepts only 1.38 times more solar radiation than Earth, increasing the chance of retaining an atmosphere. It's year (rotation period) lasts about 9.9 days and is most likely tidally locked, meaning one side of the planet has eternal daylight and the other eternal darkness. 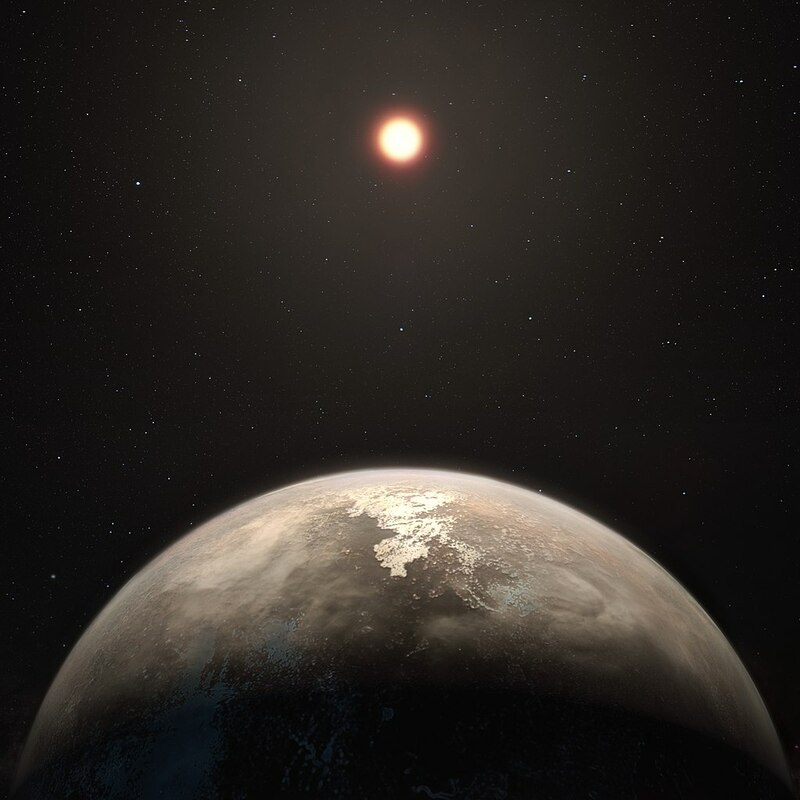 As of 2017, Ross 128 b is the best candidate for a potentially habitable exoplanet, if it has an atmosphere and if it has the right chemical balance for life to thrive. Would its inhabitants be like us? Or wildly different? What do you imagine they're like? I have attended lots of book fests, retreats and conferences in the last two years to see which ones make most sense for me. I promised to report on some for you. Last month I attended NCTE - National Conference of Teachers of English. Hundreds of teachers and librarians attend this conference to figure out which books to use for their classrooms in the year to come. The location shifts from city to city. Last year it was in Atlanta, Georgia. This year it was in Saint Louis, Missouri. Next year it will be in Houston, Texas. This conference is excellent for any author who wants to get their books read and taught in schools of any level--elementary, middle or high school. 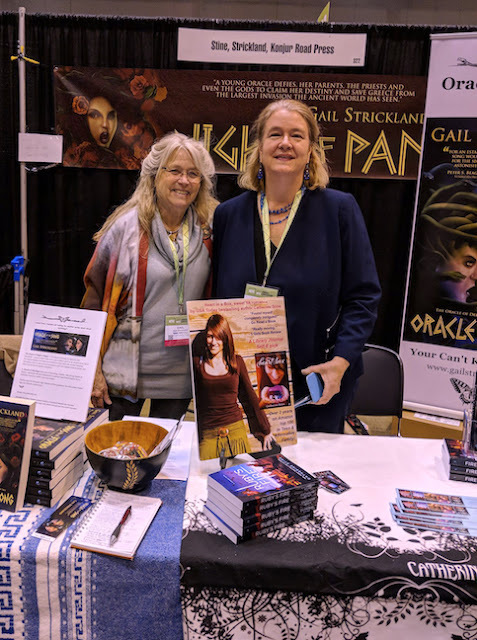 I shared a booth with fellow author, Gail Strickland, who writes fantasy using mythology, while I am focused on spreading word of my Fireseed series, which teaches about climate change, future farming and transgenic crops. For me, there is nothing better than getting a chance to speak directly to teachers, who are passionate about reading and educating students. I've found that even if you never plan to go to conferences, it is a good move to create a question list for book clubs or classrooms that can be accessed in the back of your book or directly downloaded from your website. Roanoke Author Invasion: Great for selling books! 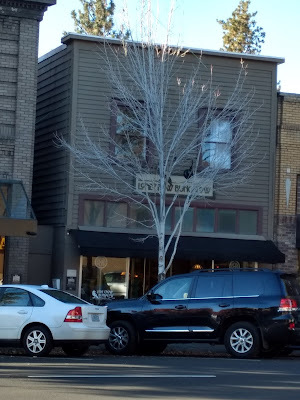 Squaw Valley Writers' Retreat: Good for receiving in-depth writing critiques, community, finding editors and agents. One must send a writing sample for entry. Writers' Digest Con: Great for pitching to agents and editors. Chapter Con UK: Wonderful for meeting UK authors and book lovers. The next one in 2019 will focus on writing sessions and writers' issues. Penned Con (St. Louis): Excellent one for selling books. RT Booklovers Con: HUGE event! Great for bookselling, and for high level panels. Can pitch one-on-one to editors and agents. Location switches from year to year. 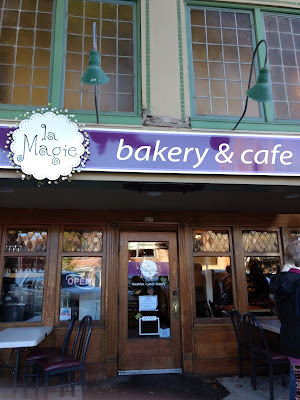 Mendocino Writers' Con: Lovely little conference, which is good for small breakout groups on various writing topics. Can pitch to a small group of agents. Affordable. RWA National Conference: A great con for anyone writing any type of romance. Location switches. BEA - Book Expo: HUGE event. Many great breakout groups! Can buy half-priced books. Can get in at a discount if you belong to a group such as SFWA (Science Fiction Writers of America). You can also sign your books with an org. such as this, but you must give the books away. I found my Evernight Teen editor this way. Brooklyn Book Fest: A surprisingly homey event, with lots of live readings and lectures. A family event, so not good for romance but great for YA. Share a booth. It's expensive otherwise. I will attend Once Upon a Book con in Michigan next summer, which I've heard great things about. But I cannot vouch for it yet. There are MANY events all over the USA. 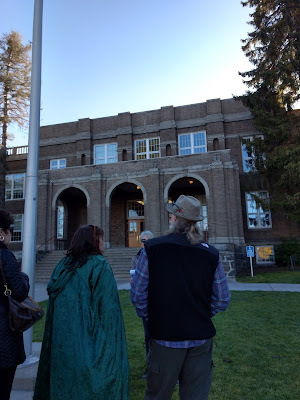 Google book fests in your area to see what's around. Have you gone to any retreats or book fests you've enjoyed or found helpful for your author life? A few weeks ago I was scrolling the list of fantasy audiobooks available at my library, adding ones that looked promising to my wish list. I picked one of those promising titles at random, knowing nothing about the author and having never heard of the book. Falling Kingdoms by Morgan Rhodes is the first of six titles in her Falling Kingdoms series. The story follows the fortunes of three families in three kingdoms. One king is a blood-thirsty tyrant. Another is a gullible chieftain who considers himself a mystic. The third is a fair and just king. One of the kingdoms is rich and plentiful. Another is slowly dying, and the third is perpetually cold. The protagonists are young people who are in line to inherit the thrones or throne depending on what happens in the wars and intrigues among the three kingdoms. Does any of this sound familiar? There are definitely some similarities to Game of Thrones, including a body count among some of the viewpoint characters. (Yes, one of the characters I liked died.) It's not a Game of Thrones rip-off, more like Game of Thrones light. Fewer characters and a lot fewer words, for which I'm thankful. A few decades ago, most fantasy novels followed the quest pattern. The hero took a journey in some grand struggle between good and evil. Sometimes the protagonist was a great warrior, other times an unlikely or unwilling hero. Critics complained about Tolkien and Conan rip-offs. Are those complaints fair? Maybe in some cases, or maybe the quest pattern just makes a great story. Maybe it's the kind of story fantasy readers want. With the popular success of Game of Thrones, we can add a new pattern to the mix: the political intrigue fantasy. We follow characters at the top of the social hierarchy fighting and killing each other for political control. And the fights should include lots of ruthless murders for selfish ends. What do you think? Will the political intrigue fantasy become the most common pattern or will quests make a come back? Or is there a new pattern emerging? You're invited to write a guest post for our blog. We want all your weird, wacky, intelligent, and creative thoughts on topics in these genres. We love to provoke what ifs and spark our readers' minds. We're not looking for promotional posts. Give us thoughtful and fun. No more than 1000 words and a maximum of three images. Plus a short two to three sentence bio with your links. 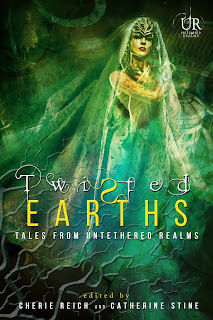 Hitch a ride with Untethered Realms. We love to have guests. Just keep your arms inside at all times, don't drink Jezebel's punch, and please don't tease the T-Rex in the back. it is dangerous, a bloody risk, like love, to form the words, to say the words, to touch the source, to be touched, to reveal how vulnerable we are, how transient. I write as though I am whispering in the ear of the one I love. Terry Tempest Williams (born 8 September 1955), is an American author, conservationist, and activist. Williams' writing is rooted in the American West and has been significantly influenced by the arid landscape of her native Utah and its Mormon culture. Her work ranges from issues of ecology and wilderness preservation, to women's health, to exploring our relationship to culture and nature. Williams has testified before Congress on women's health, committed acts of civil disobedience in the years 1987–1992 in protest against nuclear testing in the Nevada Desert, and again, in March 2003 in Washington, D.C., with Code Pink, against the Iraq War. She has been a guest at the White House, has camped in the remote regions of the Utah and Alaskawildernesses and worked as "a barefoot artist" in Rwanda. I've been asking myself this question lately. This article by Terry Tempest Williams certainly has taken some of the words out of my mouth. Rural Wisconsin, 1909. In the bitter cold, Ralph Truitt, a successful businessman, stands alone on a train platform waiting for the woman who answered his newspaper advertisement for "a reliable wife." But when Catherine Land steps off the train from Chicago, she's not the "simple, honest woman" that Ralph is expecting. She is both complex and devious, haunted by a terrible past and motivated by greed. Her plan is simple: she will win this man's devotion, and then, ever so slowly, she will poison him and leave Wisconsin a wealthy widow. What she has not counted on, though, is that Truitt — a passionate man with his own dark secrets —has plans of his own for his new wife. Isolated on a remote estate and imprisoned by relentless snow, the story of Ralph and Catherine unfolds in unimaginable ways. With echoes of Wuthering Heights and Rebecca, Robert Goolrick's intoxicating debut novel delivers a classic tale of suspenseful seduction, set in a world that seems to have gone temporarily off its axis. Robert Goolrick is an intricate and captivating writer. When I began to read A Reliable Wife I was hooked after the first page. 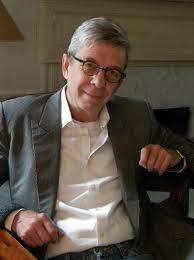 Mr. Goolrick's writing is superb and I hung on his every word. As you absorb A Reliable Wife, Mr. Goolrick slowly peels away the nuance's of the main characters bit by enthralling bit. A Reliable Wife is an emotional and oftentimes darkly obsessive story of deception. 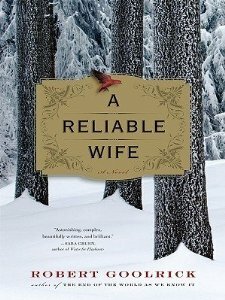 Towards the conclusion of A Reliable Wife, Robert Goolrick's writing becomes breathtakingly wordy and at the close you breathe a sigh of relief and shake your head at the complexities of this novel. 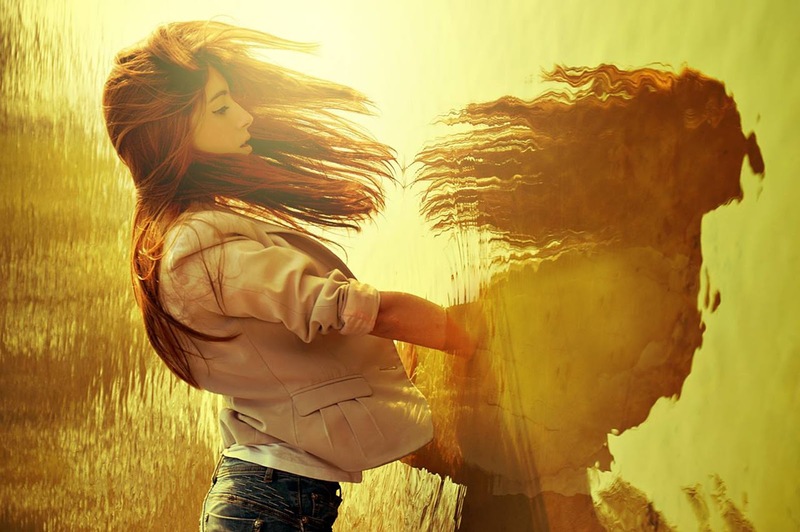 Parallel Universes - is there a flip side? One of my favorite things to think about is if there are parallel universes and multiverses. After watching season 2 of Stranger Things, I spent too much time staring at the wall and wondering if I could reach through and touch myself in another universe. If I did indeed exist in that universe. I googled movies on this topic and very few came up. I found a lot about time travel and how that makes alternative histories, presents, and futures. But not so many about parallel universes. Yet some of my favorite books have taken on this theme: Coraline by Neil Gaiman, Alice in Wonderland by Lewis Carroll, The Chronicles of Narnia by C.S. Lewis, and stories by H.P. Lovecraft. We step through a mirror or a wardrobe, and we've gone through a portal into a parallel world. Some more pleasant than others! One of my favorite TV shows about multiverses was Sliders. Do you remember that show from the 1990s? They traveled from Earth to Earth trying to find their own. Some Earths were so similar to their home, they wondered if it was the right one, but then they'd find one little difference. What am I like in parallel worlds? Did I have seven children like I wanted when I was a teenager? Did I become an archaeologist like Indiana Jones? Did I say yes to that doctor who asked me on a date in university? Do I have tentacles instead of arms and legs? The possibilities are infinite. And great fuel for future stories! What are your favorite books/movies/shows about parallel universes? 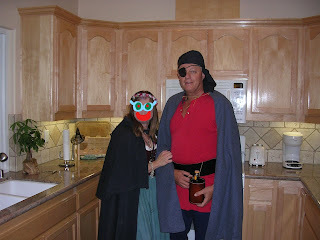 The UR authors are dressed up, and it's up to you to guess who they are! If you are the first to guess correctly, you will win a copy of our newest thrilling anthology, Spirits in the Water. Who is behind this mask? If you say Carrie Kelley, you'd get some geek points, but it wouldn't be right. Who is under this mask? I'm the ghoulish one, some may say the goulash one. 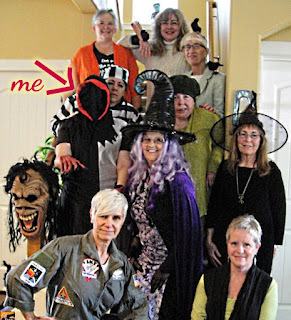 Some other published authors in the photo: Marie Harte, the prisoner; behind her in orange is Paty Jaeger; next to her at the top is Karen Duvall; the purple witch is Ruth Colter; and the other witch is Diana McCollum. Guess who's under the mask! 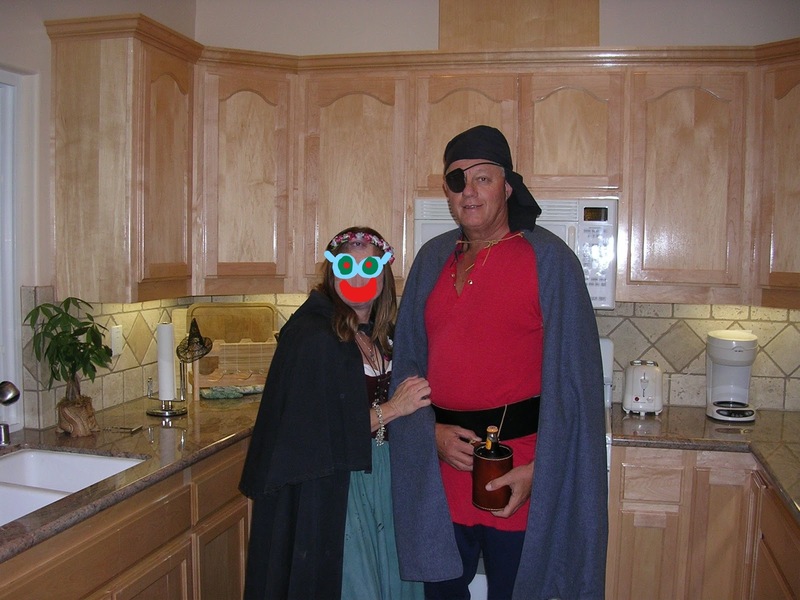 We love a good renaissance faire and it's a perfect way to spend Halloween, all dressed up in comfy clothes, eating turkey legs, and imbibing the bread of life, aka beer (Just to keep it authentic, of course!). 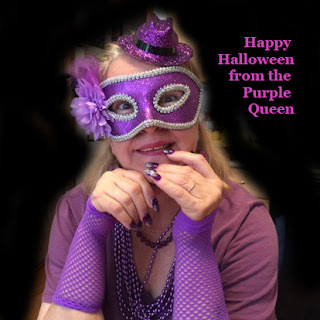 Who is this Purple Queen? Or maybe she's a countess or even a commoner. 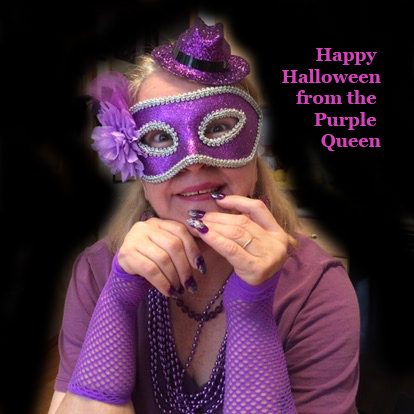 But one thing's for sure... she LOVES all things purple. The Spirits in the Water tour with Silver Dagger Tours has started! It runs from OCT 23 through NOV 6 Here is the lineup. Links go live on the day that they post, so stop by often to keep up with the posts! We are also offering an amazing array of giveaway items to help celebrate! (Scroll down all the way to enter the rafflecopter). 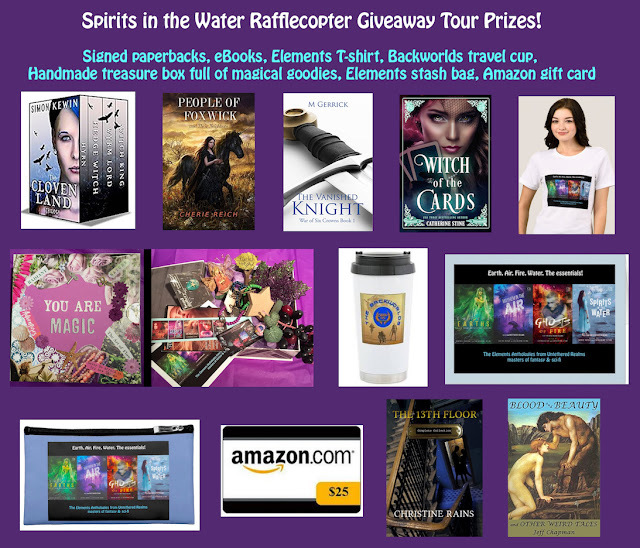 Spirits in the Water is the final of the Untethered Realms Elements series. Get them all! Mythical Books with guest post by M Pax "What's in the Water?" 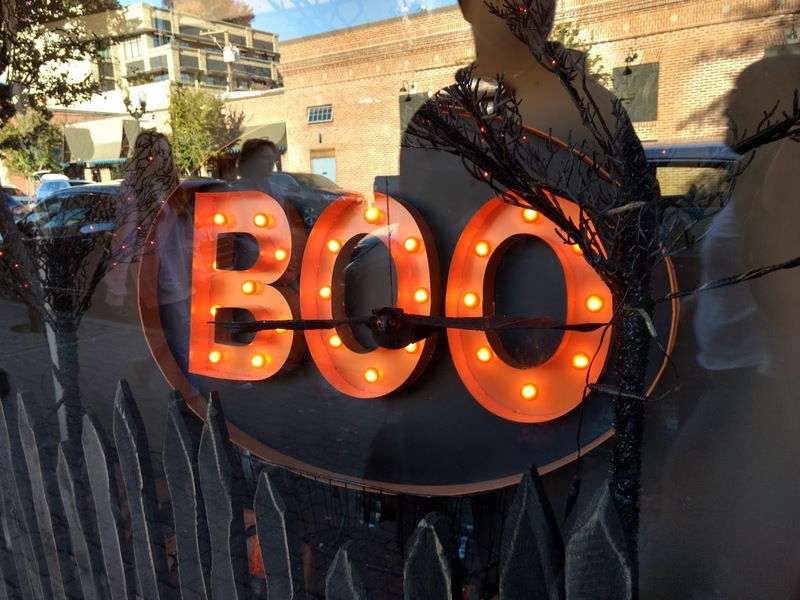 Jazzy Book Reviews with guest post by Christine Rains "Frozen Fears"
Triple A - guest posts! There's something about a good ghost story that suckers me in. You're probably tired of hearing my account with an actual ghost... A black thing ran over my foot once and out the door. It was like a shadow, but not a shadow. My husband was there at the time and saw the same thing. We believed it the spirit of Mr. Sox, who was killed by a car. After he died, I used to hear him scratching at the back screen. The sound was so distinct, I would often get up and go out on the patio looking for him, even though I knew it was impossible he was there. That black shadow ran over my foot while I was serving dinner and raced out the sliding door into the backyard. I never heard the scratching at the back screen again. It wasn't a frightening experience. It perplexed me. The shadow had form and was thicker than a shadow, more solid. Yet I could see through it. It was the size of a cat. My husband and I have gone ghost hunting before, and I'd love to say I've had other encounters, but I haven't. I don't want to jump to conclusions that a sound is a spirit or an experience is a spirit. I want a real, solid encounter... like the one I had. 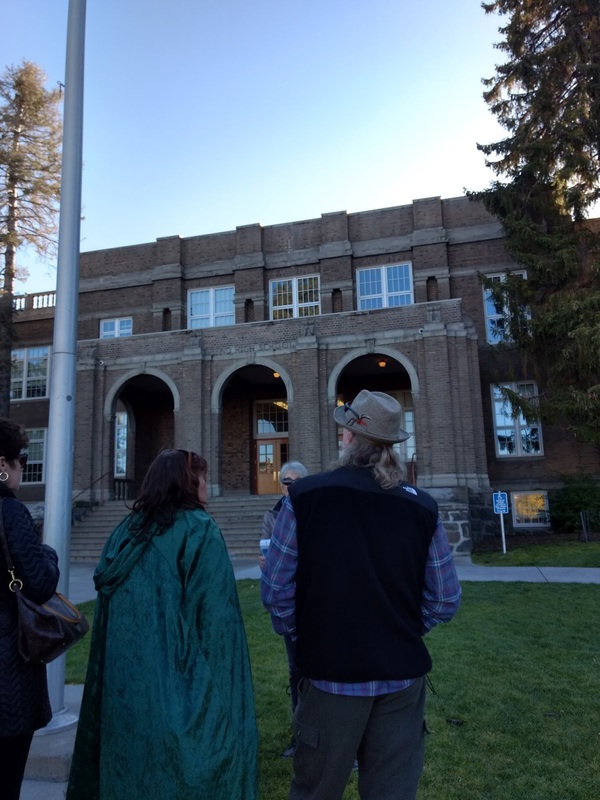 George at the Reid School, a builder who had died on the site, shows up quite frequently. 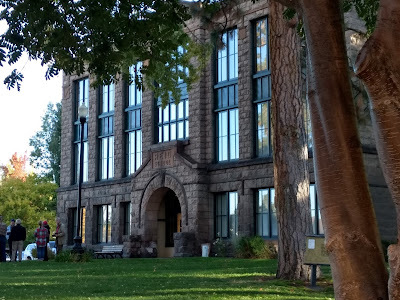 It's now the local history museum. 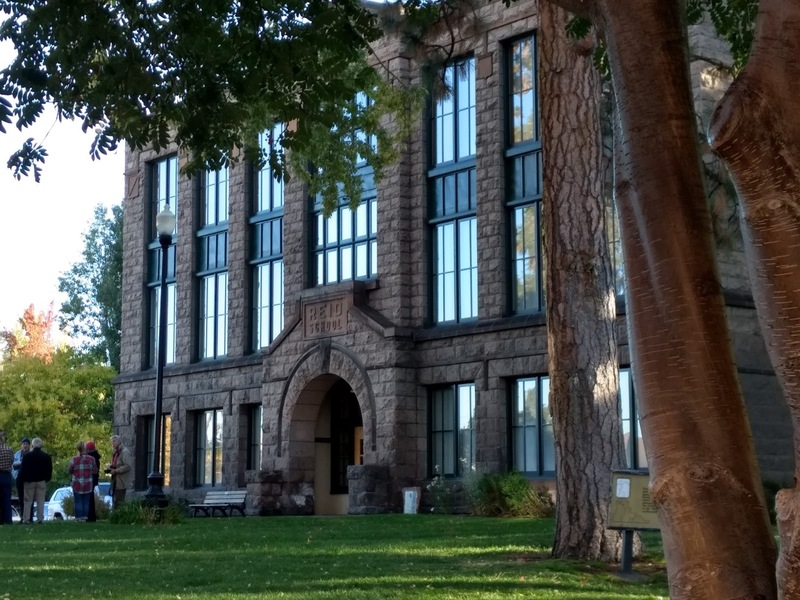 A boy on a bicycle at the high school, which is now county offices. He likes to turn lights on during the night. 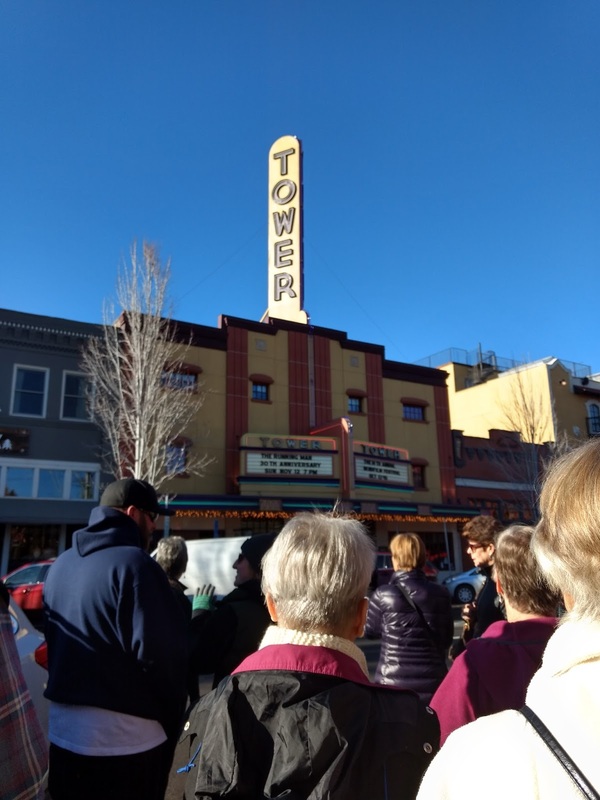 Mr. and Mrs. Thompson of the Tower Theater are sometimes seen sitting in the audience. Mrs. Smith can still be heard banging on the ceiling with a broom to call Mr. Smith to dinner. There's a malevolent presence in the old hotel, who has attacked several people. No one wants to own anything that was in the old nunnery. The buildings and contents were sold and transported far away. I wonder if the new owners have had anything odd happen. Whether true or not, my favorite ghost stories are accounts related by family, friends, neighbors, and acquaintances. I don't want to run away, I want to investigate. I love talking over the mysteries that touch our lives and our world. Ever since Alice was saved from her abusive father, she’s wanted to be a hero. But in 1960’s Jet City, women are supposed to want marriage and babies, not cowls and secret identities. When her beloved aunt is murdered by a new crime syndicate, Alice takes up the mantle of the Serpent, a heroine who has been protecting Jet City for decades. But one mistake will unleash a dreadful villain. One who will stop at nothing to take control of the city and kill anyone who stands in the way. Can Alice survive the battle and become the hero she was always meant to be? Or will the price be too much to bear? Alice is swept away from her abusive father and her best friends to live with her rich aunt in Jet City. While well-to-do women in the 1960s are expected to marry well and have children, Alice longs for something much more. She trains to be a powerful fighter and takes up the mantle of the city's infamous superhero, Serpent. A vicious villain is making people cower in fear, experiencing waking nightmares. Alice and her friends must stop the madness before their enemy takes over the city, but are they willing to pay the price to do so? 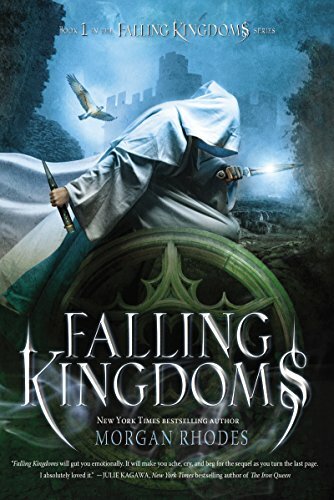 This is an amazing debut novel from Trish Heinrich with rich world building, twists and turns, and fabulous characterization. I thoroughly enjoy the superhero genre, but most books give us extended comics without the illustrations. Not this one. The plot is thick and well written. I love the history of the Serpent. 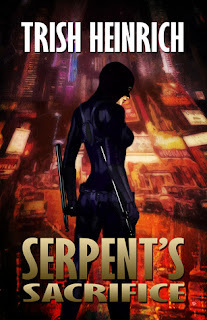 (Pick up the prequel novella, Serpent for even more!) I especially love the strong women that have put on the cowl. The story takes place in the past, and it makes their strength even more admirable. What thoroughly won me over was the excellent cast of characters. Alice is a smart and resourceful young woman who doesn't exactly fit in to her world, but she strives to make it a better place. While she is the Serpent, she has no super powers. It's all her. I also liked the fact that punching things wasn't the only way she had to resolve things. There was social maneuvering, battle tactics, and investigating. I loved her relationship with her two best friends, Lionel and Marco. Each man so different and endearing in their own way. Alice's aunt and uncle, Mrs. Frost, and Rose. So many great characters. Plus the villain. I won't give any spoilers, but yes, so demented. I can't wait for more in this awesome series! 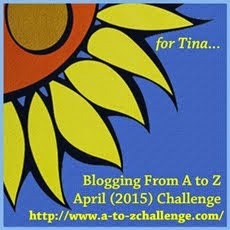 Fly on over to Trish Heinrich's site. 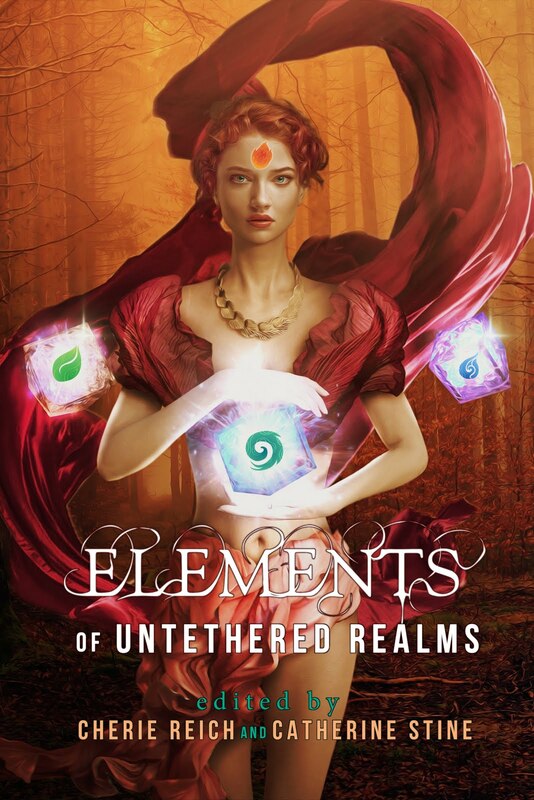 The fourth anthology in our Elements of Untethered Realms series, Spirits in the Water is now available. A haunted journey on a riverboat, water sprites borne of pennies, preternatural creatures, ancient serpents, and the Lady of the Lake lurk in dark waters. Raging storms and magical rainbow fountains. Water is spectacularly beautiful but also treacherous. Gwen Gardner gives us Shake, Rattle and Row. Harlow Grayson has the chance to rid herself of a pesky ghost but she must first brave a haunted riverboat and recover a family heirloom. What she finds might be more than she can handle. Jeff Chapman offers The Water Wight. When a drowned girl changes her mind about suicide, Merliss and her associates face a fearsome, preternatural creature. M. Pax presents The Wallows. Evernee Weems wants to escape this world in the worst way. Her daughter needs everything, the rent is being raised, Evernee’s job barely pays minimum wage, and she has little hope for better. Inside a puddle is a different reality. She jumps in, happy to trade her problems for a life in which worries don’t exist. Or do they? Angela Brown gives us Extraordinary. Puberty hits Angelique like a gut punch and brings about a change, forcing an unexpected revelation about her past. All seems well until a vicious storm tears through her Texas community, and Angelique learns there are worse things than a little change. River Fairchild presents You Can’t Go Home Again. A young woman, filled with regret about the past, goes on a journey and discovers more than she bargained for. Simon Kewin offers us The Waters, Dividing the Land. Hyrn the horned god of the woodlands is learning the meaning of fear. Death magic blights the land, threatening everyone and everything. To save what he can from spreading corruption, he turns to the ancient river serpents, but they’ve grown old and distant and may not hear his call at all. Christine Rains gives us Frozen. A necromancer is on the frozen moon of Saturn where the dead do scream. Meradeth Houston presents The Flood. Sometimes a flooded kitchen isn’t the unluckiest thing to happen to you. Catherine Stine offers Maizy of Bellagio. April still searches for her mother who vanished nineteen years ago from the fountain at Hotel Bellagio in Vegas. Can Maizy, a water sprite who works the fountain’s pink colors, begin to help the three generations of eccentric women tortured by this tragedy? M. Gerrick gives us The One Who Would Wield the Sword. Nikka is supposed to be nothing more than dragon bait so a real dragon hunter can do his job, but the Lady in the Lake has other plans for her. Cherie Reich presents The Folding Point. Aimee’s fight against those who banned paper magics has begun. From USA Today, Amazon bestselling, and popular science fiction and fantasy authors comes Spirits in the Water, a supernatural anthology of eleven thrilling tales. 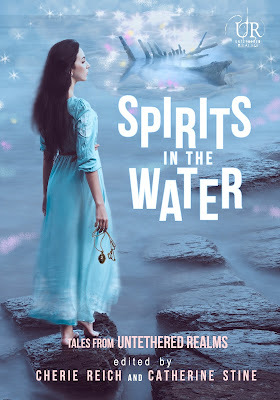 Spirits in the Water is the fourth, long-awaited Elements story collection from the dynamic and inventive Untethered Realms group. Read some excerpts from Spirits in the Water. 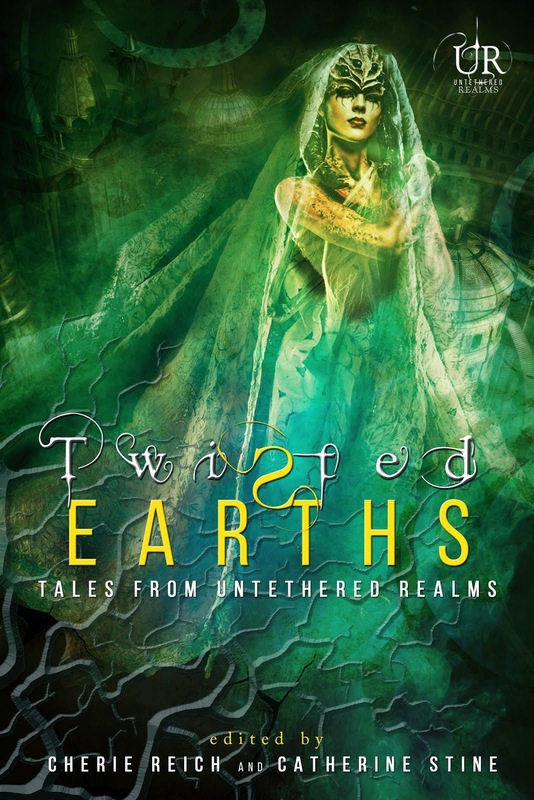 To celebrate the release for Spirits in the Water, the first Elements of Untethered Realms anthology Twisted Earths is free on all major retailers. Pick up your copy today! 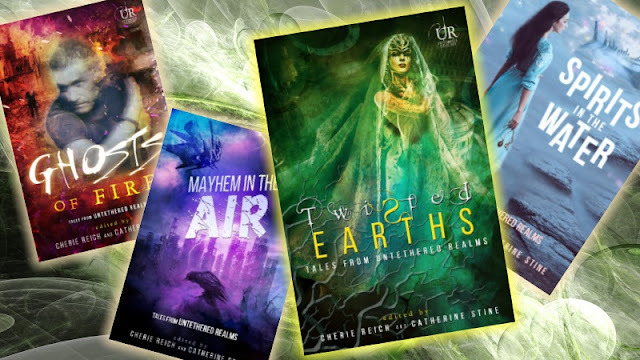 Untethered Realms is celebrating the upcoming release of the 4th collection in our elemental story series: Spirits on the Water. 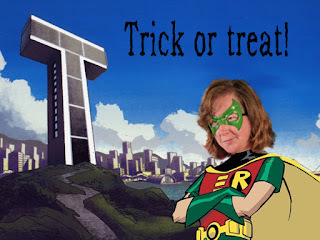 We're celebrating by making the first in the series, Twisted Earths, FREE! 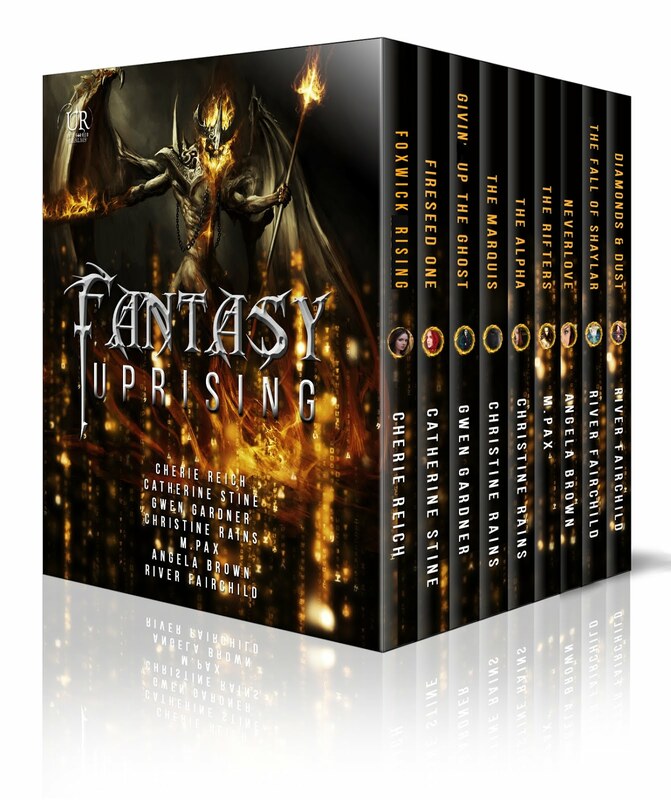 That's right, 9 outstanding, fantastical stories for the price of free. Twisted Earths is a collection of tales from Untethered Realms, a group of speculative fiction authors. The stories are as varied and rich as the types of soil on this and other planets—sandy loam, clay, knotted with roots and vines, dreaded paths through unexplored planets, and in enchanted forests, lit by candlelight and two moons. M. Pax, author of the series, The Backworlds and The Rifters spins a tale called Patchworker 2.0. Specialists with digital interfaces are the only ones who can distinguish between biological energy and mechanical pulses, and “patch” AIs, which hold the world together. Patchworker Evalyn Shore meets up with an AI with deadly intent. Angela Brown is the author of the paranormal Shadow Jumpers and NEO Chronicles series. In her story, In The Know, Jacob, a loyal family man is struggling to stay out of debt when he’s hired to report on big plans for a future Detroit. He’s given a mysterious manila envelope with instructions to “open it alone” or pay the price. With switchback twists you won’t see coming, a debt of a much steeper cost is what he just might end up paying for his involvement. 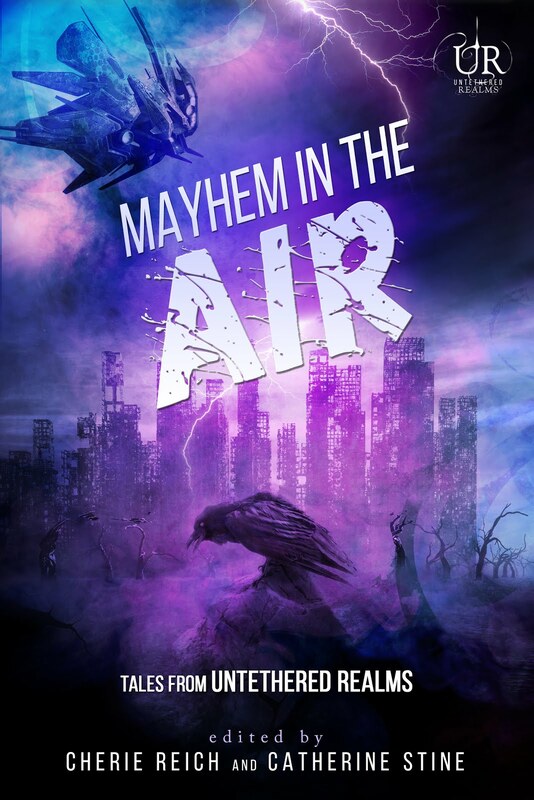 Catherine Stine, author of the futuristic thrillers, Fireseed One and Ruby’s Fire, offers The Day of The Flying Dogs, a sinister tale of brilliant, troubled NYC high-school student, Theo. He experiences a day at Coney Island that includes drugs, delusions, a lonely capybara, Nathan’s hotdogs and a mind-bending lesson in our very twisted universe. Christine Rains, known best for her paranormal series The Thirteenth Floor, gives us The Ole Saint, a story at once sweet, horrific and heartrending. Ezra longs to fit in and have boys stop calling him witch and freak, yet his unique supernatural skill sets him apart, and the last gift from The Ole Saint cinches the deal. Graeme Ing, known for his young adult fantasy, Ocean of Dust presents The Malachite Mine, a gripping, scream-inducing ride. Whatever was Mary thinking when she accepted her husband’s gift of a most terrifying twenty-first birthday celebration in an abandoned Russian mine? River Fairchild, author of her Jewels of Chandra series, presents A Grand Purpose. Rosaya and her cousin, Drianna are soon to be married off, but Rosaya is unhappy with her assigned match. She’s much more intoxicated by the older Firrandor, a wizard she hardly knows. When Rosaya is accused of killing an oracle boy, all bets are off, not only for her love, but her freedom. Gwen Gardner, who pens the cozy paranormal mystery series, Indigo Eady, adds to her collection with Ghostly Guardian. Indigo and her rib-tickling ghost-busters must travel to a dangerous pirate-laden past in order to unearth a curmudgeonly eighteenth century spirit that is plaguing the Blind Badger Pub. Misha Gerrick, whose War of Six Crowns series is forthcoming, gives us a story called Red Earth and White Light. Emily, a young ghost bride has long haunted a house. She longs to cross over into the afterlife, but she’s trapped in memories of lilies and betrayal. The stories in this collection are marvelous, strange, frightening, and otherworldly. And we know you're ready for more. They're coming in Spirits of the Water! Huzzah! 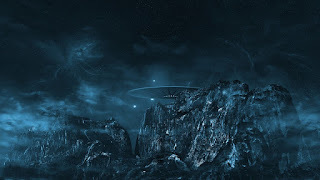 Science Fiction Fears - Just Our Overactive Imaginations? Eek! Aliens are going to abduct me. Oh no! Skynet is going to take over the world! There are a lot of wondrous things in the worlds of science fiction. We've seen technology from stories made real decades later and events happen just like they were written. Yet it doesn't make the horrors of sci-fi true. The fact that so many people fear these things could happen only says how well the authors did their jobs. 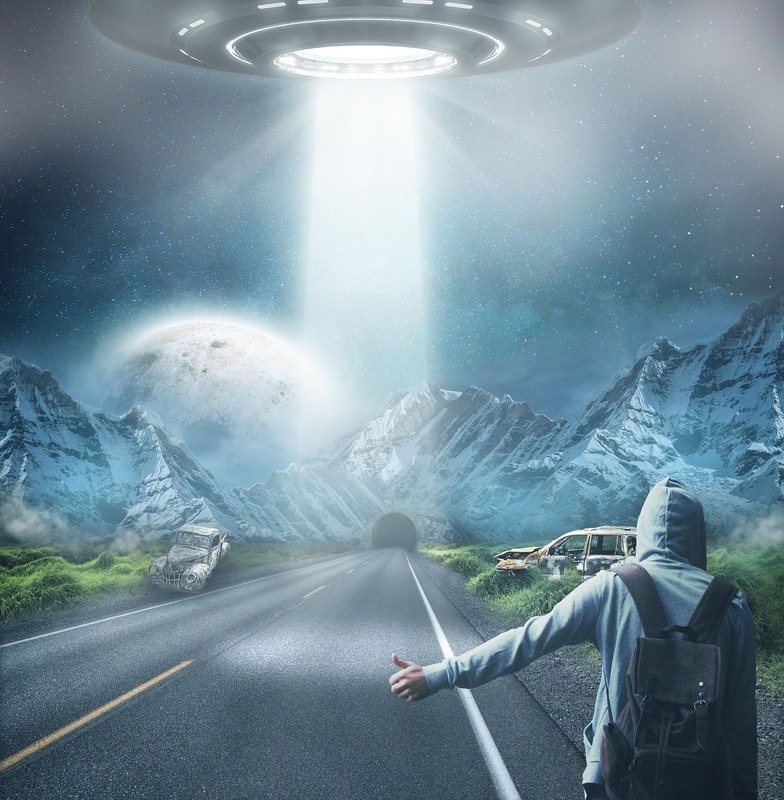 Are there aliens and would they abduct us? There are likely aliens, but the chances they are here are very slim. Plus would a greatly advanced race with amazing technology really resort to kidnapping and probing humans to learn about them? They would have scanners that could tell them everything they want to know, and they can observe us in our natural habitats. Nope, not creepy at all. Will an asteroid hit Earth? Not at all likely. NASA says there are no near-Earth asteroids or comets, and their chances of identifying a big one that might cause worldwide damage early so something could be done to stop it are nearly 100%. But a Sharknado, now that's a different story! Will AI evolve and take over the world? No. AI is only composed of what we put in it. If robots try to take over the world then someone programmed them that way. AI can never replace the ingenuity and perseverance of humans. Plus a few well placed EMP bombs will take care of the problem easily! Dystopians are immensely popular be they primal or technologically advanced societies. If there is a worldwide disaster or war, would it be likely something like that could happen? Not really. These are pessimistic views of our future. People will want the society they lost and seek to rebuild it. No matter how dismal it looks sometimes, never underestimate the power of hope and compassion. Let's hope we have more of a Star Trek future than a Hunger Games or an Idiocracy. Do you have any fears that have stemmed from science fiction? Speculative fiction dwells in the realms of the what if and encompasses genres such as science fiction, alternate history, fantasy, horror, and more.